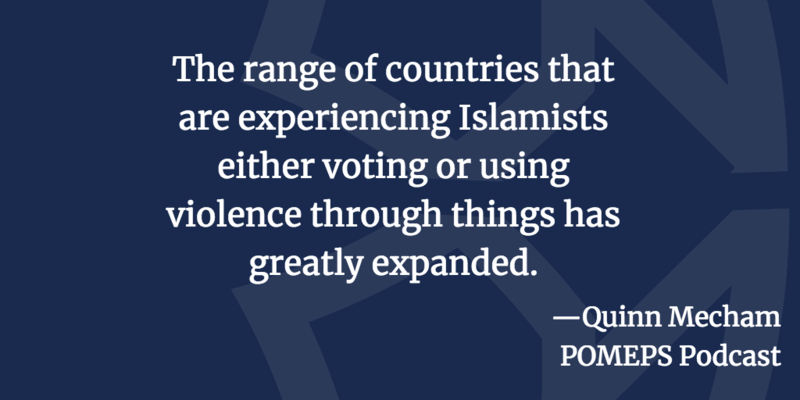 On this week’s podcast, Quinn Mecham talks about his new book, Institutional Origins of Islamist Political Mobilization, on the politicization of Islam. Quinn Mecham is Associate Professor of Political Science and the Coordinator for Middle East Studies at Brigham Young University. He was an Academy Scholar at Harvard University, and was a Franklin Fellow in Policy Planning at the U.S. Department of State. His primary research focuses on Islamic movements and the strategies and behavior of Islamist political parties.